Eastwood's Vintage Wheel paints are an exact replica of the fine metallic flake paint found on many high end racing and factory optioned wheels. 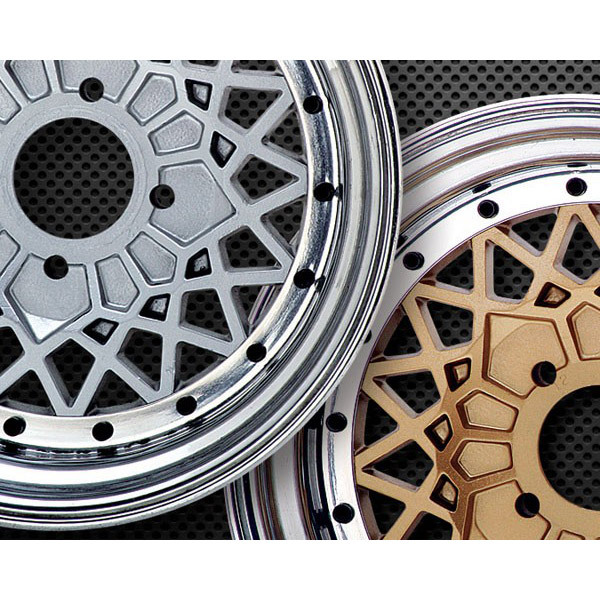 The finish has the right low gloss sheen to replicate the alloy found in such wheels as BBS, Hurst, Oldsmobile, Pontiac and Chrysler specialty wheels. This coating goes on easy, has excellent coverage and is super durable. Apply as is, or if you want to create your own custom look apply Eastwood's Diamond Clear gloss or satin finish. Each can covers about six square feet or two wheels. Good to 250℉ temperature range. ▶ Depending on the condition of the wheel, it may be necessary to abrade the surface with a fine grit sandpaper or brite pad. ▶ Make sure the surface is clean a free of any debris or contaminants. ▶ Eastwood's PRE Painting Prep is ideal for removing surface debris. ▶ Shake can for at least a minute- there is a high content of fine metallics that need to be dispersed. ▶ Apply light coats allowing 10 minutes between each coat. ▶ Its better to apply several light coats than one heavy coat. Always wear eye, skin and respiratory protection when painting. Always paint in a well ventilated area away from open flame. Consult MSDS for specific safety warnings. 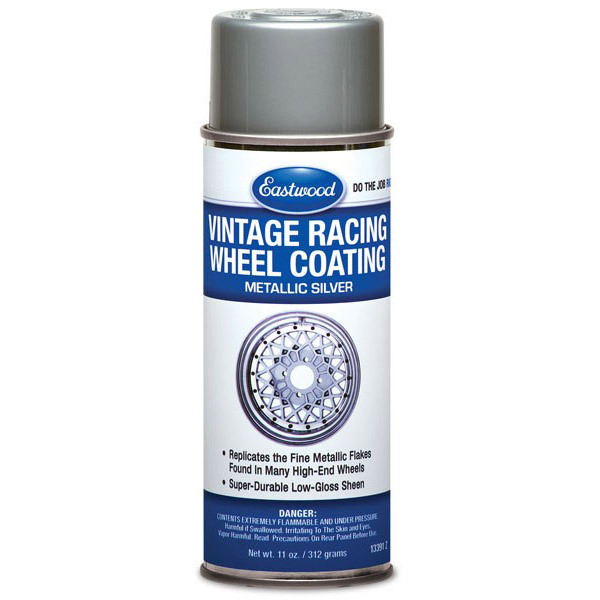 Eastwood's Vintage Wheel paints are an exact replica of the fine metallic flake paint found on many high end racing and factory optioned wheels. The finish has the right low gloss sheen to replicate the alloy found in such wheels as BBS, Hurst, Oldsmobile, Pontiac and Chrysler specialty wheels. This coating goes on easy, has excellent coverage and is super durable..